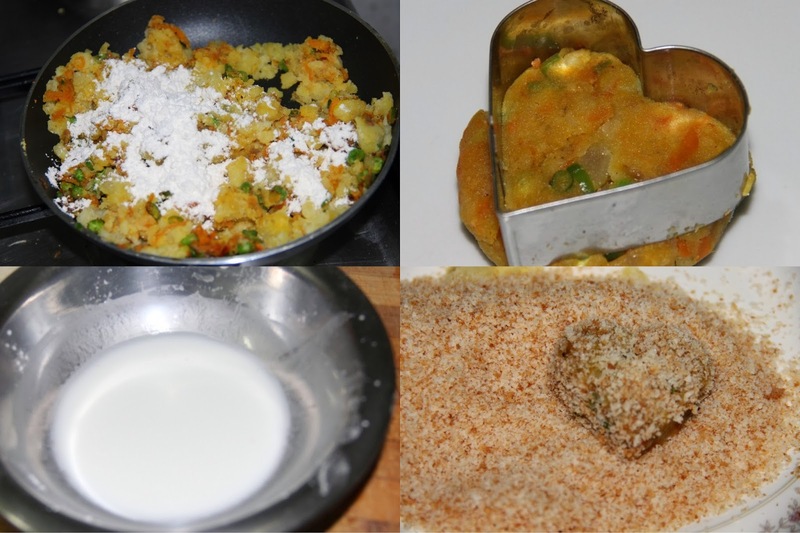 Vegetable cutlet is a popular and simple snack item. It is very easy to make and can be had as an appetizer or light afternoon snack or evening snack with tea. It is great for small parties and get togethers. I have used shallow frying method to prepare this recipe. The goodness of veggies and lesser oil makes this dish tasty and healthy. Pressure cook potatoes till soft. Peel the potatoes and mash it roughly. In a pan add 3 teaspoons oil and add onion and sauté till soft then add green chillies and ginger garlic paste and cook till raw smell goes. 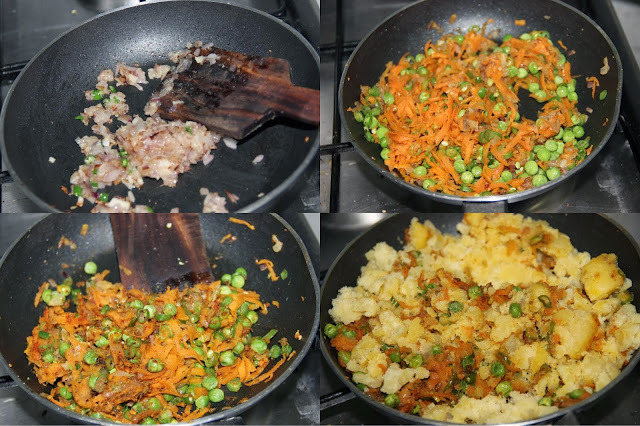 Add carrots, beans and peas and sauté till half cooked. Then add turmeric, chilli, pepper, garam masala powder with this mixture and cook for a minute and add the mashed potato and mix well with this masala. Switch off the gas and allow this to cool. Add maida with this mixture and mix well. Take a gooseberry sized ball and make it flat like patties or desired shape using hand or cookie cutter. Add water and dissolve the cornflour without any lumps as thick slurry. Dip the patties in corn flour and roll this in bread crumbs. Shallow fry this in oil and place the fried cutlets on the paper towel to drain the extra oil. Good... Will definitely try this cutlets.